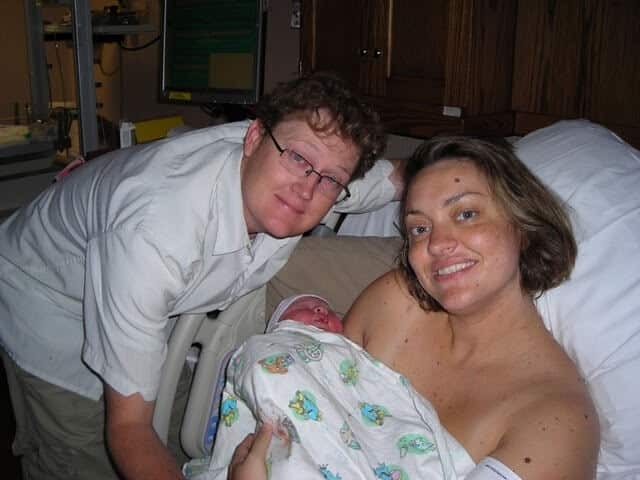 Mom Achieves a Spontaneous, Natural Birth…Despite “Red Flags” and a “Failed Induction! 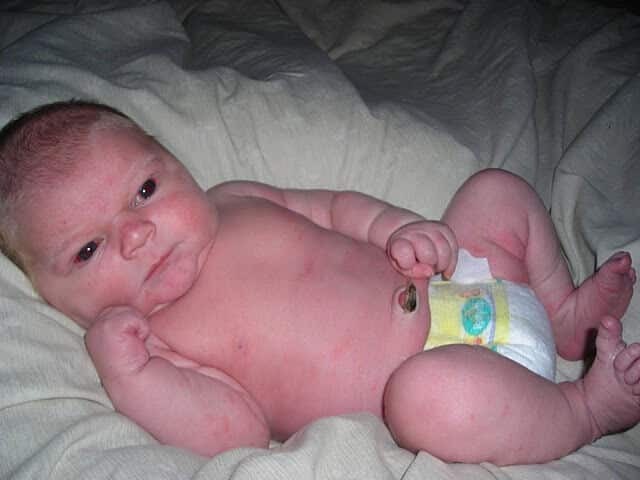 Thanks to RaeAnna from the Hypnobabies Yahoo Group for sharing her inspirational birth story with us. I hope it’s an encouragement to anyone who has a disbelieving midwife or OB. YOUR BIRTHING TIME CAN AND WILL HAPPEN!!! To start this story, here is a brief explanation of some “red flags” in my health during the last trimester of my pregnancy. I put “red flags” in parentheses because those were the words from a midwife concerning my risks of a natural birth. I was diagnosed with gestational diabetes and although I always controlled it well and had wonderful NSTs (measuring the baby’s heartrate) and BPPs (ultrasounds to make sure everything was ok) they still had to be on the cautious side of the risks in my pregnancy. The midwives in the Vanderbilt practice are required to work under a board of doctors who usually recommend gestational diabetes patients to be induced at 38 weeks. My midwife was able to approve a hold on any induction until 40 weeks since everything was well controlled and looked great. I hoped all through my last trimester that my baby would come early and we would never have to consider an induction. However, my due date of July 6th came and I felt it was the safest to oblige their recommendations and go in for an induction 2 days later. We arrived at the hospital that night and I was given an IV of Pitocin. I had to spend several days preparing myself and my fears of an induction because it really was going against everything I wanted for a natural childbirth. After months of preparing for a natural childbirth with Hypnobabies, I felt that I was letting myself down by going through with the induction – but I also knew I needed to be responsible to my baby and listen to the advice of the midwives. My Bishop’s score was between an 8 and 9 so I felt like I had a lot going for me and we would be able to work everything out for a great birth – even if it meant I had to have Pitocin. I was a good 5cm dilated and 70% effaced when we started the drugs. For 10 hours I was hooked up to the medicine and the nurses were increasing the dosage every 30 minutes. At 5:00am I was maxed out at 20mL and nothing was working. I was not in active labor although I was having a few pressure waves (contractions.) The advice from the midwife was to basically start from scratch and give me the Pitocin at smaller dosages again to see if something would happen. Fast forward to 7:30am. There was a shift change in midwives and my new midwife came in to talk about what we needed to do since NOTHING was working!!! I never felt any strong pressure waves (contractions) the WHOLE NIGHT! The midwife began talking about how sometimes this is common. She recommended that we stay and continue to try other methods – breaking my water, continuing the Pitocin – but that realistically that would probably lead to a C-section since I was no more dilated or effaced. She also talked about how she had a patient try an induction 3 times before the Pitocin worked. When she mentioned that patient I perked up and said “so you let her go home all those times???? ?” I knew right then I would NOT stay at the hospital and that we would all go home and wait for my little man to come on his own time!!!! that night for another induction. had was that my pressure waves were getting stronger over the weekend. into labor on my own – or even that I could have my baby naturally. NST since I was having pressure waves at 6-7 minutes apart. Fortunately, there was another couple in their birthing time down the hall that needed the midwives more than I did so we didn’t see the midwife for 4 hours!!! The nurse with us was wonderful at keeping track of my pressure waves and allowing me just to focus on my own. I had my mom, husband and doula in the room with me and everything was very quiet and peaceful. I was able to remain mostly “off” (a hypnosis term) during those 4 hours. Since things were progressing, no one ever came in to start Pitocin! I was finally in my birthing time on my own!!!! The last part of those 4 hours were the most intense. The pressure waves were coming one right after the other. I didn’t realize, but I was actually in the transformation stage (transition) at that time! a bowel movement! She called the midwife in to check me. Having to lay on the bed was very difficult – laying down was NOT comfortable! we had the Pushing Your Baby Out CD track playing. My mom said it became like a circus in the room. atmosphere calm and relaxed to match the music and talking on the CD. To the astonishment of the whole room (and later to find out – pretty much the whole hospital) was that my baby boy was 10lbs, 10oz and 21 and ½ inches long!!! I credit Hypnobabies to the incredible success of my birthing story!!! was not a pleasant feeling, but it was empowering! the Lord answered the many prayers that we prayed over the past week. such a successful Hypnobabies experience! THANK YOU HYPNOBABIES for the education and empowerment to have an easy, comfortable, safe and fast childbirth! I can’t wait to do it again! We now have a beautiful, healthy little boy! NO DRUGS OF ANY KIND!!!!! PRAISE GOD!